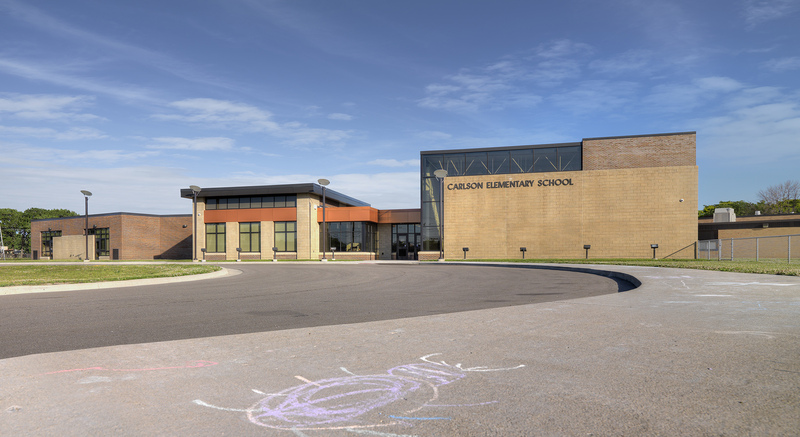 Carlson Elementary School underwent a substantial renovation and expansion. 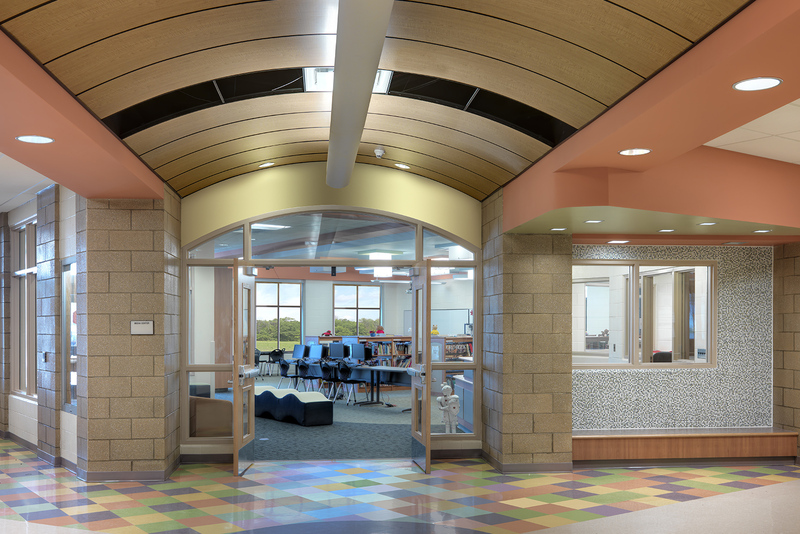 The new addition included seven new classrooms, a new gymnasium, new media center, student collaboration and special education area, as well as other support spaces. The existing building renovations impacted most areas of the building. The main office was completely reconfigured and its size expanded to allow the administration to service the larger student population. A secure entrance vestibule was also created, similar to the other buildings. Another major improvement involved providing an additional site entry point to the north, mainly to accommodate buses. A new bus loop and parking were added. 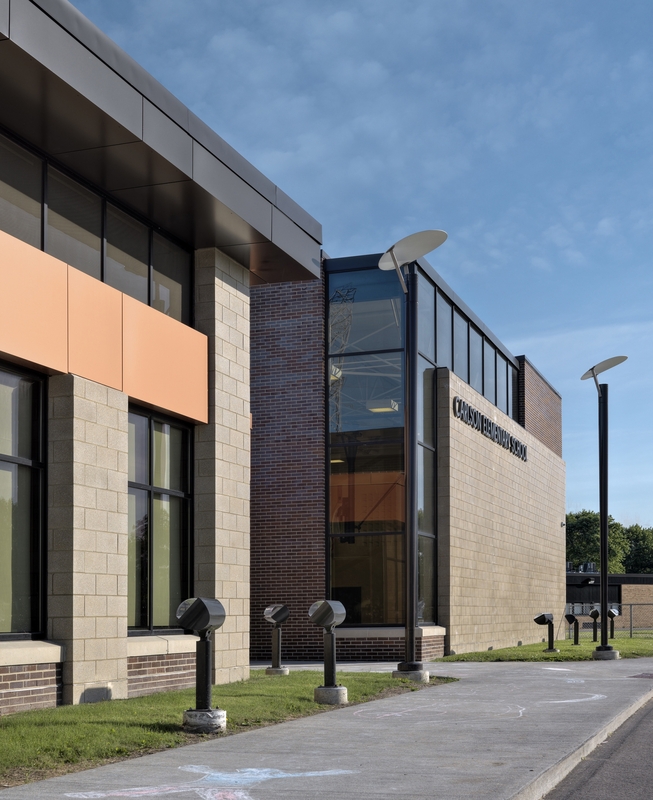 A secondary entry point is located in this area of the new addition which is utilized by students and staff during the day and the community at night. 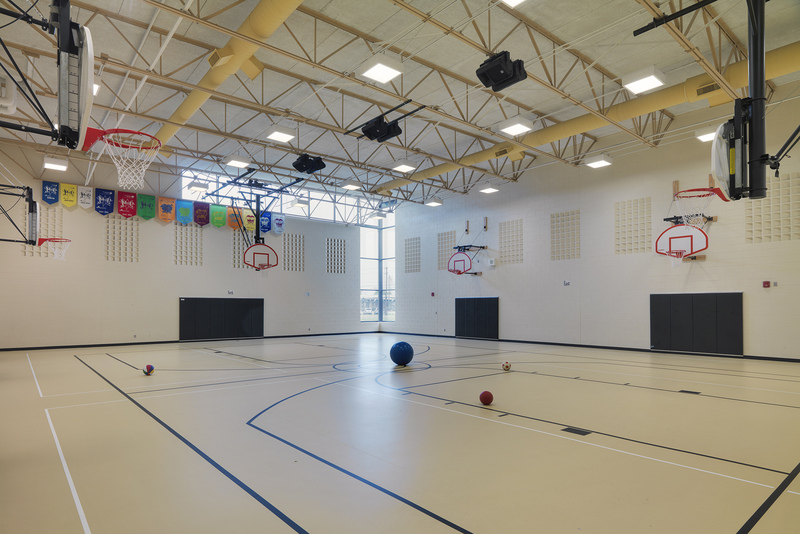 The media center and gymnasium were located within the classroom addition to allow them to be utilized for after-hours use by the community. 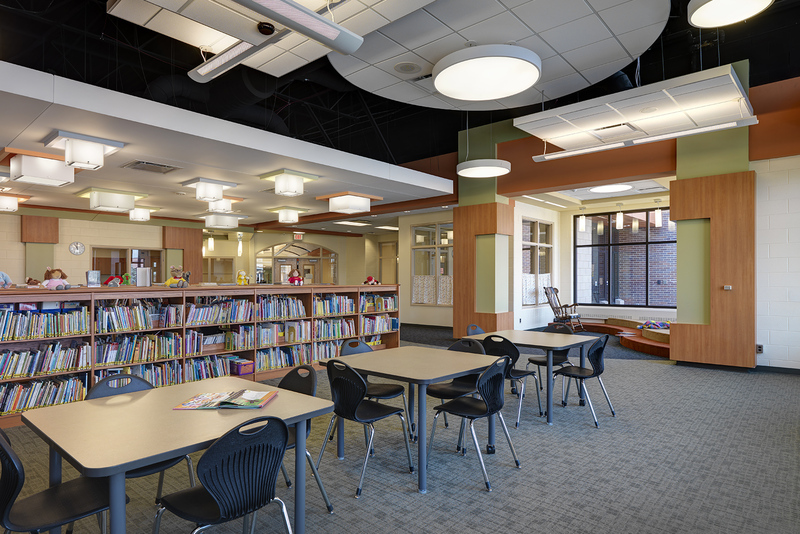 As with the other district projects, the renovations and addition provided innovative technological and collaborative learning spaces as well as much needed student resource and administrative support areas.